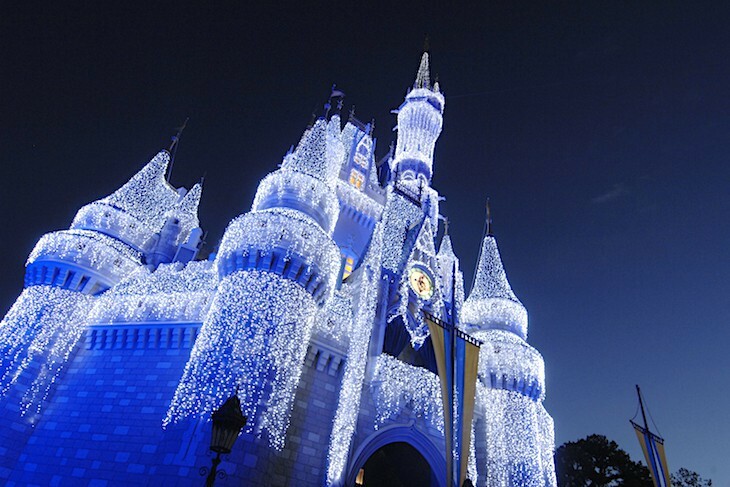 Most people’s image of Disney is encompassed in a mere 142 acres of pure enchantment. 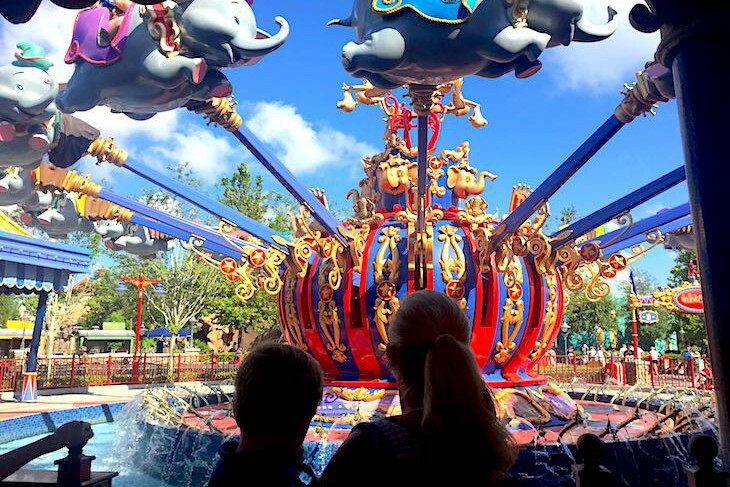 The first theme park at Walt Disney World® Resort, Magic Kingdom® is a kid’s fantasy of marvelous themed lands created to charge the imagination of young and old alike. Around every corner is a vision bound to take the breath away, one that’s guaranteed to draw you back time and time again. 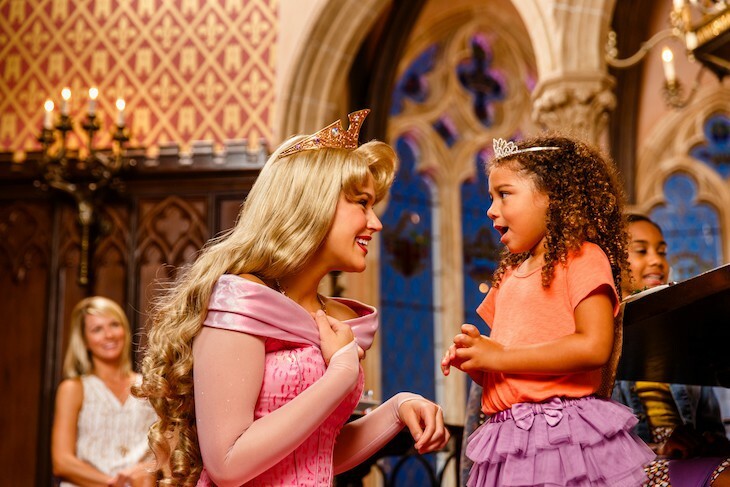 Cinderella Castle, the park’s visual magnet, hits you square in the face as you walk under the train station and into a world of make-believe with all the glory of Main Street, U.S.A.® spread out before you and that fairytale castle at the end. Get ready for the time of your life! 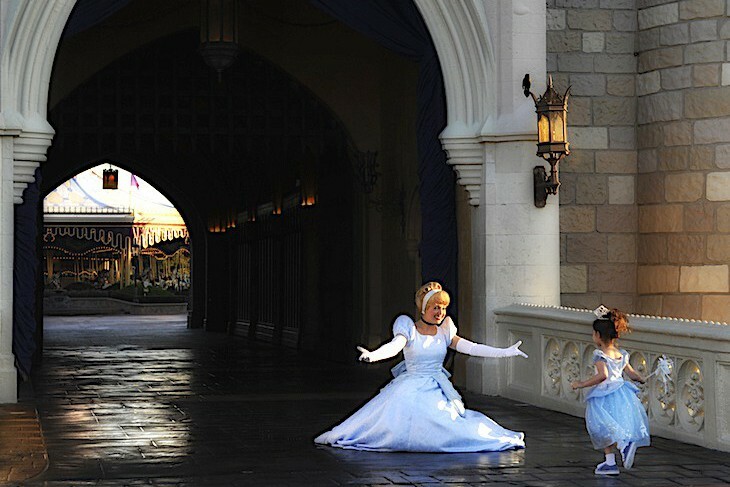 Cinderella, a princesses' most sought after character find. 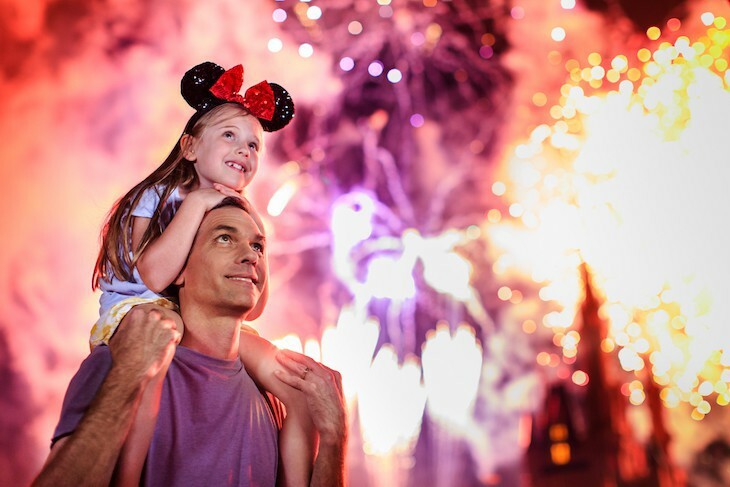 Walt Disney World Resort's best fireworks show is held most nights at Magic Kingdom. It's a must! 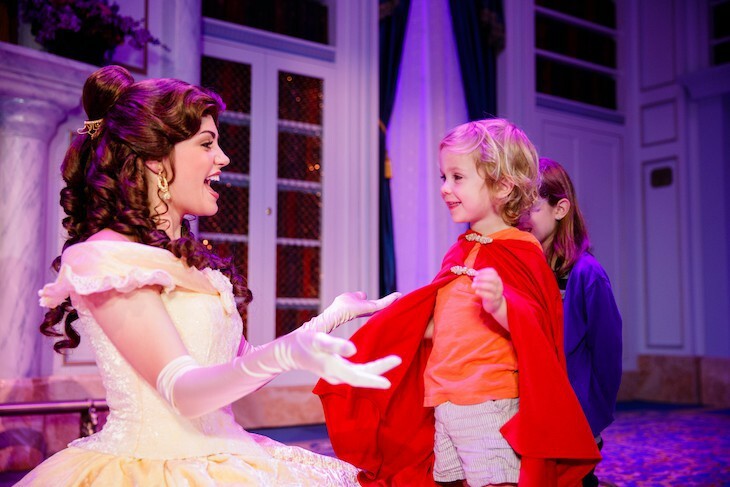 Little princesses will find Magic Kingdom Park irresistable because of the many opportunities to see all of their favorite princess characters. Dine high above Fantasyland in the towers of Cinderella Castle. 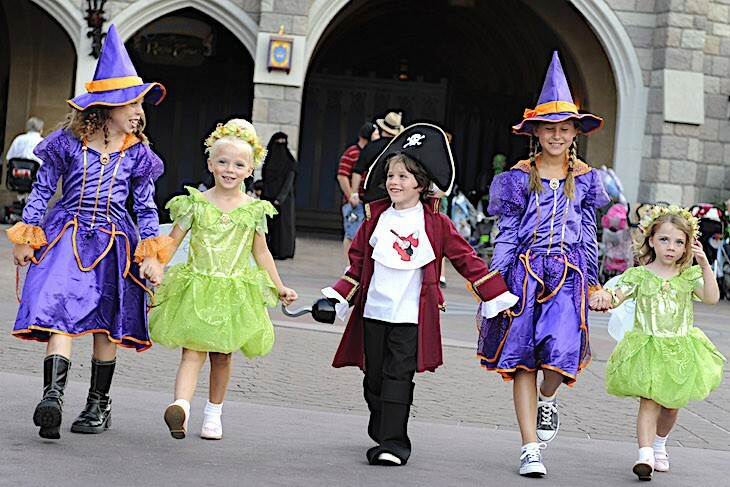 A great way to enjoy the Halloween season is at this after-hours ticketed event at the Magic Kingdom® Park. The compact Magic Kingdom consists of six bewitching lands accessed by five bridges leading from a central hub in front of Cinderella Castle. Travel down Main Street, U.S.A.® to reach the hub from the front entrance. Moving counterclockwise around the hub you first encounter the bridge to Tomorrowland®. The second and third bridges take you to the Fantasyland® Area, the fourth to Liberty Square Area and the Frontierland® Area, and the fifth brings you to the Adventureland® Area.